On one important point you and your house are very similar – you both need to breathe to feel good. You may breathe instinctively, without even thinking about it, but your house often needs a little help with air exchange. What could be more natural than breathing? It’s something we all do without even a second thought. The fact that we are now spending an increasing amount of time indoors should mean that we impose stringent requirements on the air quality in our homes. We spend more time indoors now, compared to the past. We shower more often. We build, renovate and decorate our houses with different types of synthetic material. We draught-proof our homes, for example when we change heating system. New ways of living and rebuild houses therefor put high demands on the air exchange in the house. How is your house ventilates? Is the the natural circulation working? Do you breathe fresh air at home? What happens if we continue to economize on ventilation and allow the house to become completely air-tight? ; Within a short time, the bad air will cause unpleasant smells in most areas of the home. In the long-term if the moisture is not ventilated from the wet areas of the house in the right way, this results in the growth of mould and in the worst case scenario, rot. In other words, serious material damage. 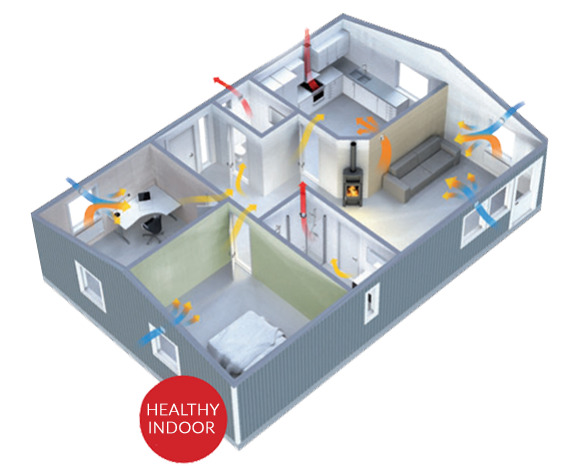 In the end, those living in the house will also start to feel unwell, in the form of tiredness, recurring headaches and allergies, as a result of spending long periods of time in badly ventilated houses – which is an extremely high price to pay for an air-tight and energy-efficient house, is it not? . If we instead choose to install supply air vents in the dry areas of the house and fans in the wet areas, we provide the foundations for air circulation that prevents, and often reduces the occurrence of the problems mentioned above. If you want to recycle heat, Pax Eos is the natural choice. 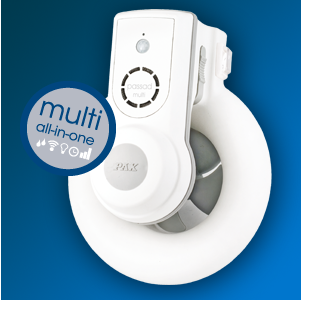 Installation can often make use of existing ventilation ducts, resulting in low installation costs. In other words.